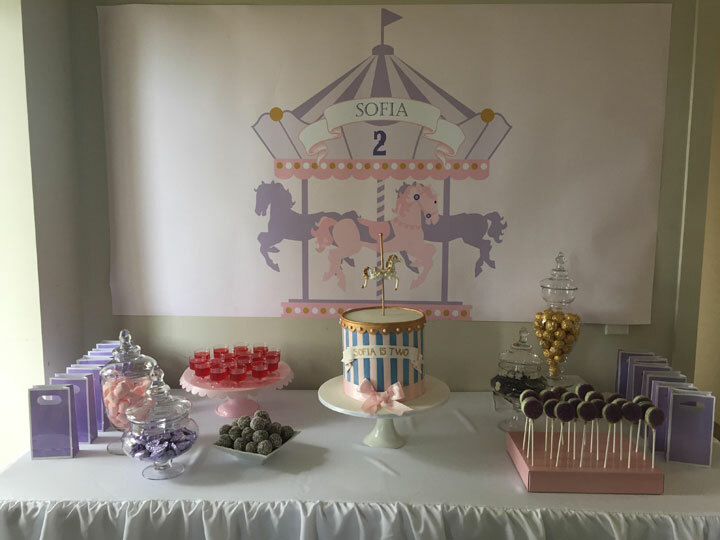 Clever mum Tatiana has styled her daughter Sofia’s 2nd birthday with our most popular backdrop design for a girl’s party – the carousel. I love this colour combination. Also, check out that cake – so very cute! I hope it gives you all some ideas for your next party. The colour combination used in this backdrop was purple, pink and gold glitter.